Mehrangarh fort is one the India’s biggest historical forts, situated in Jodhpur with a huge and deep history of Hindu kings or Rajas. It was built in 1460 by the RaoJudha one of the ruler from the Rathore dynasty. It is around 500 years old. 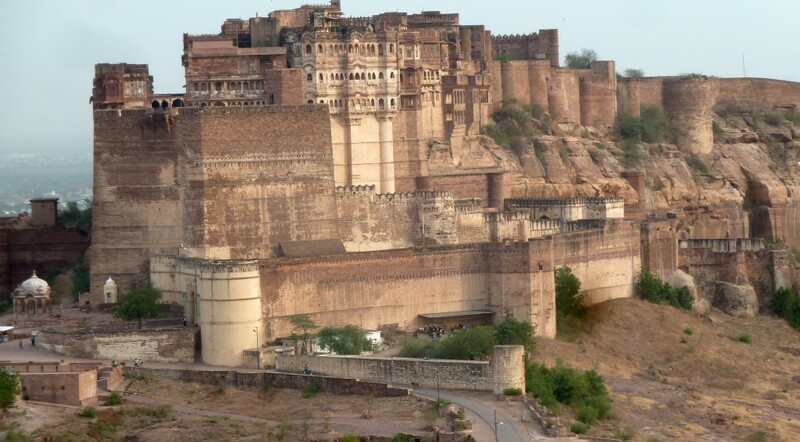 The fort had been built when the king decided to move his capital to Jodhpur for better security due to the clashes with the mewar ruling family. The unbelievable history about the Mehrangarh fort is that the king had buried a live man during the making of foundation for the fort to the safety whose family is still living in the complex of the fort. Itself the fort is very strong and is surrounded by thick walls on its all sides and standing on a hill which presents the security situation of that time, in fact the traces of the cannonballs can be seen still on the walls. It has four big gates to enter with their own history whose names give the meaning of victory such as Jaypol and Fattehpol, Kamgra pol and the main Loha pol on which there are still present the hand prints of the queen. The fort has more to share like tree main palaces called phoolmahal, motimahal and the sheeshamahal along with a treasure house called Dolatkhana. One of the india largest collection of historical monuments is in the Mehrangarh fort complex and is in the form of a separate museum which is full of royal dresses, palanquins, cradles, musical instruments, paintings and galleries along with furniture. 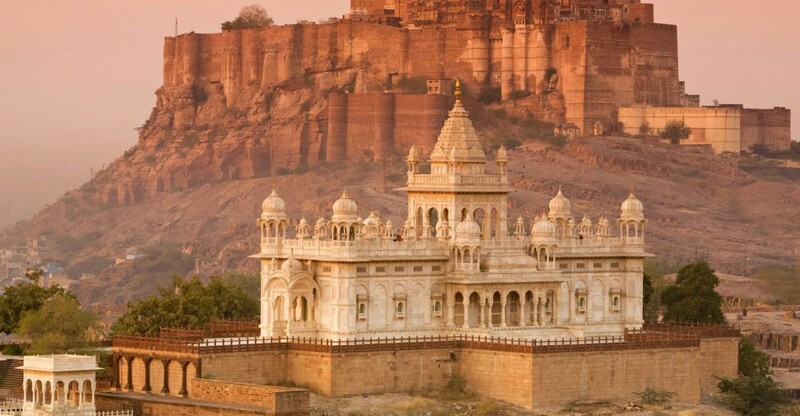 The famous Chamudi temple lies in the same complex of the Mehrangarh fort. The fort is now a popular place for recreational activities and a picnic spot which also serves as a film making set. The famous movie “the dark knight rises” has been shooted in this complex.